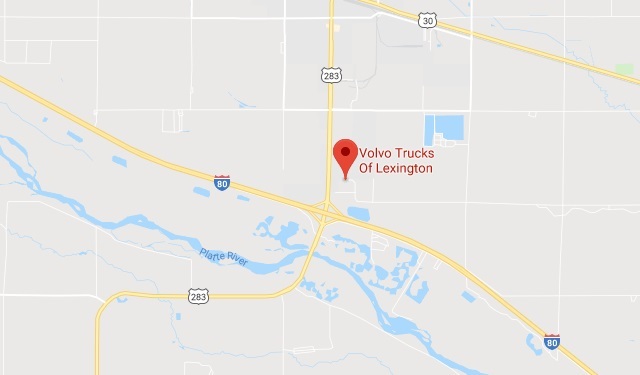 Volvo Trucks of Lexington, Inc. | Lexington, NE | North American Truck & Trailer, Inc.
Volvo Trucks of Lexington, Inc.
Volvo Trucks of Lexington is a brand new, state of the art authorized dealer of Volvo trucks. Our service department services all Volvo makes and models. Our services include Cummins engine service, Volvo engine serivce, trailer repairs, welding, fuel injection repair, air conditioning repair, DOT inspections, engine diagnostics, hydraulic service, radiator service, and medium duty repair. We also feature bilingual service, trailer parking, a driver's lounge, hotel shuttles, and fleet purchasing options. We are a Road Choice Truck Parts authorized retailer.